Unvaccinated Adults are a Costly Economic Burden Ever Year in the U.S.
LabelsNewswise, October 31, 2016 -- Many of us have seen the signs at work, gotten the emails from our health care insurer, or heard the ads on the radio telling us that it is flu season, and thus time to get an annual flu shot. Many Americans will comply with this yearly health edict, but many will challenge medical wisdom and opt to face their impending exposure to an onslaught of sneezes, coughs and sniffles without the shield of vaccination. In fact, the CDC estimates that only 42% of adults ages 18 and older received the flu vaccine for the 2015-2016 flu season. This results in many adults getting sick, causing lost days from work, health care expenses, and even death for those highly susceptible, such as the elderly. Vaccines are available for prevention of many illnesses, and most Americans get a thorough course of vaccinations as children. There are also vaccines that the CDC recommends for adults, such as those for influenza (flu), HPV, hepatitis A and B, and meningococcal disease. As we age, our susceptibility to certain illnesses increases, so the CDC urges older adults to get immunized against pneumonia, shingles, and influenza, which are particularly dangerous to the elderly. Younger adults in late teens to early twenties are strongly urged to get vaccinated against human papilloma virus (HPV), which is sexually transmitted and so common that most American adults will contract a strain of it at some point in their lives. College-aged adults are also urged to get the meningococcal vaccine, which protects against a potentially deadly infection that causes swelling of the protective coverings surrounding the brain. Many universities require this vaccine for incoming students prior to allowing them to register or move in to on-campus housing. Despite the proven efficacy and minimal risks associated with vaccines, many American adults continue to forgo getting vaccinations, usually due to doubt of effectiveness, concerns of the safety of the vaccines, or just a lack of consistent follow-up on their personal health care needs. The result is costly health and economic losses, both to themselves and to the general public. A recent studyrevealed that illnesses attributable to vaccine-preventable diseases in the U.S. caused a $9 billion economic burden in 2015. Ninety-five percent of these costs ($8.3 billion) were health care expenses, with the remaining 5% ($700 million) representing productivity losses, such as lost income during treatment. The majority of these costs, approximately $5.8 billion, was attributed to influenza illnesses alone, even though flu shots are readily available at low or no cost to both the insured and uninsured in the U.S. Many employers offer shots free of charge to employees during flu season, and many health care providers and pharmacies make the vaccine available at convenient times by holding special flu shot clinics in evenings and weekends and at community-based locations during flu season. In addition to the personal health toll vaccine-preventable illnesses can make on the individual, unvaccinated adults put others at greater risk of illness through exposure to the diseases. Children, the immune-compromised, or others who have health conditions that preclude them from receiving certain vaccinations are put at unnecessary risk of exposure to illness by the unvaccinated who become sick. In a place such as Washington, DC, where there is close contact with many people in crowded public venues or through the use of public transportation, these risks of exposure and disease spread are amplified and further illustrates the need for all those who can to get properly vaccinated. Vaccines are available to adults for the following 14 illnesses: HPV, Herpes zoster (shingles), varicella (chicken pox), pneumococcal disease (pneumonia), meningococcal disease (meningitis), influenza (flu), Measles, Mumps, and Rubella, Tetanus, Diphtheria, Pertussis (whooping cough), and hepatitis A and B. To find a location where flu shots are available, use this link. Many locations also offer vaccinations for the other 13 diseases for low cost, and health insurance will cover most or all of these shots as well. You can also test your Flu I.Q. by taking this CDC quiz. The O’Neill Institute for National and Global Health Law at Georgetown University is the premier center for health law, scholarship, and policy. Its mission is to contribute to a more powerful and deeper understanding of the multiple ways in which law can be used to improve the public’s health, using objective evidence as a measure. The O’Neill Institute seeks to advance scholarship, science, research, and teaching that will encourage key decision-makers in the public, private, and civil society to employ the law as a positive tool for enabling more people in the United States and throughout the world to lead healthier lives. Newswise, October 31, 2016--An experimental drug shows promise in treating Alzheimer’s disease by preventing inflammation and removing abnormal protein clumps in the brain that are associated with the disease, suggests a study in mice presented at the ANESTHESIOLOGY® 2016 annual meeting. A key characteristic of Alzheimer’s disease is the development of abnormal protein clumps called amyloid plaques and tangled bundles of fibers in the brain. These changes cause inflammation in the brain and damage to the neurons. This progressive damage leads to memory loss, confusion and dementia. The new drug, known as NTRX-07, appears to decrease this inflammation in the brain, while preserving neurons and regenerative cells in the brain. “This drug may reduce inflammation in the brain, which is linked to Alzheimer’s disease,” said lead researcher Mohamed Naguib, M.D., a physician anesthesiologist in the Department of General Anesthesiology at the Cleveland Clinic and professor of anesthesiology at the Cleveland Clinic Lerner College of Medicine. The authors discovered NTRX -07’s memory-restoring abilities while studying the drug’s potential to treat a complex, chronic pain condition called neuropathic pain. Researchers tested NTRX -07 on mice bred to have similar brain neurodegenerative issues as seen in Alzheimer’s. They found that inflammation produced in response to the disease caused changes in the brain’s microglia cells – immune cells that typically remove dangerous amyloid plaques (protein clumps) in the brain. 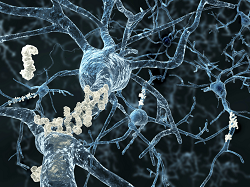 As the amyloid plaques accumulated in the mice, the microglia (immune cells) were unable to remove them, leading to inflammation and damage to nerve cells, which caused decreased cognitive ability. Microglia cells have receptors on the surface called CB2 receptors, which when activated can produce an anti-inflammatory response. NTRX -07 targets CB2 receptors, which leads to decreased inflammation and prevents damage to the brain tissue. The new drug improved removal of abnormal amyloid plaques and improved memory performance and other cognitive skills. The drug also increased levels of a protein called SOX2, which has been shown to help new brain cells develop and protect the brain in people with Alzheimer’s disease. The study found in mice treated with NTRX-07, the levels of SOX2 were restored to normal levels. In contrast, mice treated with a placebo showed decreased levels of SOX2, active inflammation in the brain, poor removal of amyloid plaques, and poor memory performance. 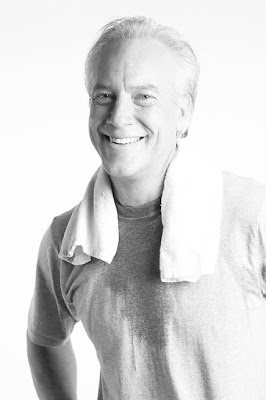 Joseph F. Foss, M.D., director, of clinical research for general anesthesiology at Cleveland Clinic, and Dr. Naguib are co-founders of NeuroTherapiaTM, a spin-off company created by Cleveland Clinic Innovations to develop NTRX -07. NeuroTherapiaTM recently received a $1.7 million investment from the Alzheimer’s Drug Discovery Foundation to advance NTRX-07 toward human clinical trials. The company also has received $700,000 from the Alzheimer’s Association to support the proposed Phase I human studies. They anticipate initiating the human clinical studies in 2017. Newswise, New York, October 31, 2016–Diabetes is the seventh leading cause of death in the United States. 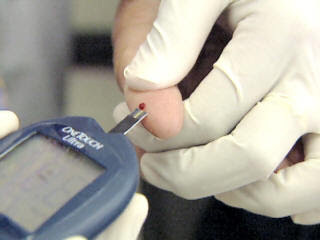 Today, 29.1 million people in the United States have been diagnosed with diabetes, according to the U.S. Centers for Disease Control and Prevention (CDC). November is Diabetes Awareness Month and Mount Sinai Health System experts are sharing tips on self-management, treatment options, reversing the disease, and the newest advances in diabetes research. Dr. Carol Levy and her team of researchers at the Icahn School of Medicine at Mount Sinai are studying the safety and efficacy of AP systems to improve the blood glucose control and reduce the burden of disease for people with type 1 diabetes. Queen Latifah and UCLA's Dr. Karol Watson joined together on World Heart Day to educate the public on living with heart failure. Latifah's mother suffers from the condition. Newswise, October 31, 2016 — More than 6 million Americans live with heart failure. Including Queen Latifah’s mother. That’s why the award-winning actress, singer, songwriter and producer recently joined UCLA cardiologist Dr. Karol Watson and the American Heart Association on World Heart Day for a Facebook Live event held at UCLA. The goal? Raise awareness of the AHA’s “Rise Above Heart Failure” campaign and talk about how patients and caregivers can help manage the disease. Heart failure is a condition in which the heart can’t pump efficiently to get enough blood to the organs. Symptoms include difficulty breathing, fatigue and swelling of the feet, ankles and legs. “Once we got over the shock of my mom’s diagnosis, we started to learn that there are a lot of things we could do,” said Latifah, whose mother, Rita Owens, was in her early 50’s when she was diagnosed with heart failure ten years ago. Watson, a professor of medicine/cardiology at the David Geffen School of Medicine at UCLA, noted that heart failure doesn’t affect just one person, it affects the whole family. “But the good thing is that there are so many proactive steps that patients can take, like managing salt, diet and activity. Having family rally around the patient to support them is important,” said Watson, who is also co-director of the UCLA Program in Preventive Cardiology, and director of the UCLA Barbra Streisand Women’s Heart Health Program. Notice a change? Get it checked out by your doctor. People don’t always notice the signs of heart failure or they may mistake them as signs of other conditions or simply old age. “A lot of people mistake the signs of heart failure as just getting older; I know my mom did,” Latifah said. Watson added that if you see a definite change in your activity or if you’re not able to do the things you used to do, then definitely get it checked out. One of the biggest contributors to hear failure is too much salt in the diet, and it’s one of the first things a doctor will advise patients to cut back on. “Too much salt makes us retain water and makes our heart have to work harder to try and get rid of it,” explained Watson. For most heart failure patients, salt intake should be limited to one teaspoon, or no more than 1,500 milligrams, daily. Latifah said she and her family had learned to use less salt. “We find the flavor is in the food. Once you start to adjust, if you start putting salt on your food, everything will taste salty to you,” she said. Watson noted the UCLA preventative cardiology program has a motto that encompasses the essential components to healthy heart and lifestyle: Move frequently, eat thoughtfully, connect deeply. Watch the video of the Facebook Live event with Latifah and Dr. Watson. 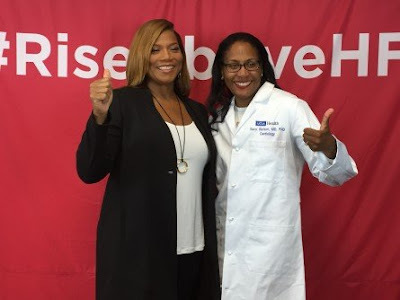 AHA’s Rise Above Heart Failure is nationally supported by Novartis Pharmaceuticals Corp. Latifah and her mother have joined the initiative to spread the word about heart failure and help others understand the symptoms and how to manage it. Visit www.heart.ucla.edu for more information on UCLA Health’s heart services. Newswise, October 31, 2016— The Alzheimer’s Drug Discovery Foundation (ADDF) announced today the relaunch of CognitiveVitality.org, its brain health and dementia prevention website. The streamlined, easy-to-navigate site separates fact from fiction and empowers people to make smarter choices for their brain health. “Americans are spending millions of dollars every year on supplements, drugs, and brain training games in the hope of staving off cognitive decline and dementia,” said Penny Dacks, PhD, director of Aging and Alzheimer's Prevention at the ADDF. At CognitiveVitality.org, neuroscientists from the ADDF review all of the available research and provide clear, unbiased ratings on the potential benefit, supporting evidence, and safety of options to improve brain health and potentially prevent dementia. These options include food and drinks, drugs, and vitamins and supplements. Ratings may be viewed individually, or in a streamlined grid that allows users to compare options. New ratings are included, and previous ratings have been updated to include the latest scientific evidence. “Science suggests there are steps people can take to lower their odds of getting dementia while other approaches are very unlikely to help. We want people to have the latest evidence on what they can do,” said Dr. Dacks. Prior to posting, each rating is reviewed by two members of the independent Cognitive Vitality Clinical Advisory Board, which consists of nationally recognized leaders in epidemiology, neurology, geriatrics and gerontology, and related fields. The relaunched site includes new ratings of the active ingredients in widely used supplements, including nicotinamide riboside and apoaequorin, which make brain health claims. Vitamins B6, B12, and folic acid—which are promoted for brain health—are also rated. “These ratings should be especially helpful to consumers, as nutritional supplements are not required to prove their efficacy or safety in the manner required of pharmaceuticals,” said Howard Fillit, MD, the ADDF’s Founding Executive Director and Chief Science Officer. CognitiveVitality.org features a blog with in-depth articles on potential risks, lifestyle factors, and emerging science that may affect the brain. The relaunched site includes new posts on lifestyle choices and risks that may affect brain health, including hypertension, smoking, and anesthesia, organized into user-friendly categories to help people find exactly what they want. CognitiveVitality.org is an initiative of the Aging and Alzheimer’s Prevention program at the ADDF, which is directed by Dr. Penny Dacks. It was initially launched in 2014. In addition to ratings and the blog, CognitiveVitality.org includes a description of the types of evidence used to develop the ratings, and a list of relevant scientific publications. Founded in 1998 by Leonard A. and Ronald S. Lauder, the Alzheimer’s Drug Discovery Foundation (ADDF) is dedicated to rapidly accelerating the discovery of drugs to prevent, treat and cure Alzheimer’s disease. The ADDF is the only public charity solely focused on funding the development of drugs for Alzheimer’s, employing a venture philanthropy model to support research in academia and the biotech industry. Through the generosity of its donors, the ADDF has awarded over $90 million to fund more than 500 Alzheimer’s drug discovery programs and clinical trials in 18 countries. To learn more, please visit: http://www.alzdiscovery.org/. Newswise, October 31, 2016 — Much of human health hinges on how well the body manufactures and uses energy. For reasons that remain unclear, cells’ ability to produce energy declines with age, prompting scientists to suspect that the steady loss of efficiency in the body’s energy supply chain is a key driver of the aging process. “We have shown a way to slow the physiologic decline that we see in aging mice,” said Shin-ichiro Imai, MD, PhD, a professor of developmental biology and of medicine. With age, the body loses its capacity to make a key element of energy production called NAD (nicotinamide adenine dinucleotide). Past work by Imai and co-senior author Jun Yoshino, MD, PhD, an assistant professor of medicine, has shown that NAD levels decrease in multiple tissues as mice age. Past research also has shown that NAD is not effective when given directly to mice so the researchers sought an indirect method to boost its levels. To do so, they only had to look one step earlier in the NAD supply chain to a compound called NMN (nicotinamide mononucleotide). NMN can be given safely to mice and is found naturally in a number of foods, including broccoli, cabbage, cucumber, edamame and avocado. The new study shows that when NMN is dissolved in drinking water and given to mice, it appears in the bloodstream in less than three minutes. Importantly, the researchers also found that NMN in the blood is quickly converted to NAD in multiple tissues. To determine the long-term effects of giving NMN, Imai, Yoshino and their colleagues studied three groups of healthy male mice fed regular mouse chow diets. Starting at five months of age, one group received a high dose of NMN-supplemented drinking water, another group received a low dose of the NMN drinking water, and a third group served as a control, receiving no NMN. The researchers compared multiple aspects of physiology between the groups, first at 5 months of age and then every three months, until the mice reached 17 months of age. Typical laboratory mice live about two years. “When we give NMN to the young mice, they do not become healthier young mice,” Yoshino said. In skeletal muscle, the investigators — including the study’s first author, Kathryn Mills, the research supervisor in Imai’s lab — found that NMN administration helps energy metabolism by improving the function of mitochondria, which operate as cellular power plants. They also found that mice given NMN gained less weight with aging even as they consumed more food, likely because their boosted metabolism generated more energy for physical activity. In a paper published earlier this year in Cell Reports, Yoshino and his colleagues revealed more details of how NAD works in influencing glucose metabolism and the body’s fat tissue. In that study, the mice had a defect in the ability to manufacture NAD only in the body’s fat tissue. The rest of their tissues and organs were normal. “Even though NAD synthesis was stopped only in the fat tissue, we saw metabolic dysfunction throughout the body, including the skeletal muscle, the heart muscle, the liver and in measures of the blood lipids,” Yoshino said. The phase 1 trial in Japan is using NMN manufactured by Oriental Yeast Co., which also provided the NMN used in these mouse studies. Outside of this clinical trial, high-grade NMN for human consumption is not commercially available. But there’s always broccoli. 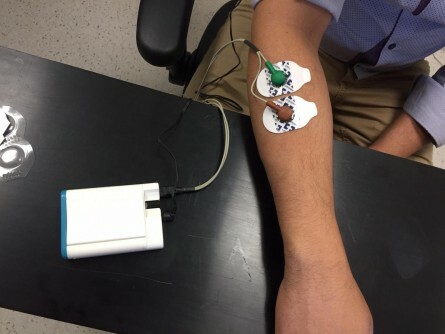 Newswise, October 26, 2016 — Stroke patients are starting a trial of a new electronic device to recover movement and control of their hand. Publishing in the Journal of Neuroscience, the team report on the development of the miniaturised device and its success in healthy patients at strengthening connections in the reticulospinal tract, one of the signal pathways between the brain and spinal cord. However, their recovery tends to be imbalanced with more connections made to flexors, the muscles that close the hand, than extensors, those that open the hand. This imbalance is also seen in stroke patients as typically, even after a period of recuperation, they find that they still have weakness of the extensor muscles preventing them opening their fist which leads to the distinctive curled hand. Partial paralysis of the arms, typically on just one side, is common after stroke, and can affect someone's ability to wash, dress or feed themselves. Only about 15% of stroke patients spontaneously recover the use of their hand and arm, with many people left facing the rest of their lives with a severe level of disability. The research published today is a proof of concept in human subjects and comes directly out of the team's work on primates. In the paper they report how they pair a click in a headphone with an electric shock to a muscle to induce the changes in connections either strengthening or weakening reflexes depending on the sequence selected. They demonstrated that wearing the portable electronic device for seven hours strengthened the signal pathway in more than half of the subjects (15 out of 25). Professor Stuart Baker added: "We would never have thought of using audible clicks unless we had the recordings from primates to show us that this might work. Furthermore, it is our earlier work in primates which shows that the connections we are changing are definitely involved in stroke recovery." Newswise, October 26, 2016 — A new report on Swedish men with non-aggressive prostate cancer suggests that a lot more American men could safely choose to monitor their disease instead of seeking immediate radiation treatment or surgery. Published in the Journal of the American Medical Association (JAMA) Oncology online Oct. 20, the report shows that well over half of 32,518 men in Sweden diagnosed with prostate cancers least likely to spread chose monitoring during a recent, five-year period over immediate treatment. Led by researchers at NYU Langone Medical Center and its Perlmutter Cancer Center, an international team concluded that men are likely to choose monitoring once presented with the choice. Called active surveillance, the monitoring option relies on regular blood tests, physical exams, and the periodic biopsy, or sampling, of prostate tissue to screen for any signs of a tumor’s growth before therapy is considered. The move to active surveillance, say the study authors, averts the risk of sexual dysfunction, as well as bowel and bladder problems that frequently accompany traditional therapies. “The main conclusion here is that if the majority of men in Sweden have adopted this management strategy for very low- to low-risk prostate cancer, then more American men might choose this option if it were presented to them,” says lead study investigator and urologist Stacy Loeb, MD, MSc. Among the study’s key findings was that from 2009 to 2014 the number of Swedish men with very low-risk cancer choosing active surveillance increased from 57 percent to 91 percent, and men with low-risk cancer choosing this option rose from 40 percent to 74 percent. Meanwhile, the authors report, the number of men in both groups who chose to simply wait, do no further testing, and postpone therapy unless symptoms develop — a passive practice called watchful waiting — dropped by more than half. For the study, researchers analyzed data from Sweden’s National Prostate Cancer Register, one of the few such national databases in the world (and for which nothing comparable exists in North America). Loeb, an assistant professor in the urology and population health departments at NYU Langone, and a member of Perlmutter, says that while increasing numbers of American men diagnosed with early-stage disease are choosing active surveillance, they still account for less than half of those for whom it is an option. “Our findings should encourage physicians and cancer care professionals in the United States to offer such close supervision and monitoring to their patients with low-risk disease,” says Loeb. Loeb says recent studies have suggested that some men with early-stage disease who opted for treatment later regretted it because of lingering problems, such as incontinence and impotence. A large study also recently showed no difference in death rates a decade after diagnosis between those who chose active surveillance and those who chose immediate treatment, Loeb says. Meanwhile, there is a greater risk of side effects among men undergoing therapy. She cautions, however, that this pattern has not been confirmed for the Swedish men in the current study. The U.S. National Cancer Institute estimates that 26,000 American men will die from the disease in 2016, with 181,000 getting diagnosed, most in its earliest stages. Funding support for the study, which took two years to complete, was provided by grants from the Swedish Research Council (825-2012-5047) and the Swedish Cancer Society (130428). Additional funding support was provided by the Laura and Isaac Perlmutter Cancer Center and the Louis Feil Charitable Lead Trust. Besides Loeb, another NYU Langone investigator involved in the study was Caitlin Curnyn, MPH. Other study investigators were Yasin Folkvaljon, MSc, at the Regional Cancer Center at Uppsala University in Uppsala, Sweden; David Robinson, MD, PhD, at Ryhov County Hospital in Jonkoping, Sweden, and Umea University in Umea, Sweden; Ola Bratt, MD, PhD, at Addenbrooke’s Hospital in Cambridge, England, and Lund University in Lund, Sweden; and principal investigator Pär Stattin, MD, PhD, at both Uppsala University and Umea University. Newswise, October 26, 2016 — A study of patient electronic medical records and genome sequences from adults with age-related hearing impairment by researchers at UC San Francisco and Kaiser Permanente Northern California, identified two genetic variations linked to the hearing disorder. The research—led by Thomas Hoffmann, PhD, a professor of epidemiology and biostatistics and member of the Institute for Human Genetics at UCSF—was published October 20, 2016 in PLOS Genetics. “This is one of the first studies that has found and replicated genes linked with age-related hearing impairment,” Hoffmann says. 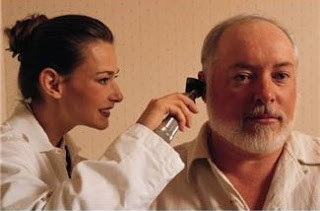 Age-related hearing impairment (ARHI) is a common condition, affecting one quarter of individuals aged 65, and half of individuals aged 80 and older. While hearing aids and other technologies offer treatments, scientists hope that a better understanding of the underlying genetics of the disorder may one day yield a cure. To verify their findings, the scientists replicated the experiment in Latino, East Asian, and African American cohorts within GERA and in an independent cohort of individuals from the UK Biobank. They also looked at genes known to play a role in hearing loss and identified two additional genetic variations linked to ARHI. This study provides novel insights into the genetic factors involved in ARHI. In particular, the discovery of the two additional variations in known hearing loss genes suggests that these may be regions of the genome to focus on in future studies of ARHI. The findings also highlight the utility of large cohorts with matched genomic data and electronic health records for revealing the underlying genetic basis of ARHI and other disorders. “This has been a long process,” Hoffmann says of the project to collect genomic data and link it with GERA health records. Funders of the research include the National Institute of Deafness and Other Communication Disorders (grant K01 DC013300), the National Institute on Aging, National Institute of Mental Health, the National Institutes of Health Common Fund (RC2 AG036607), the Robert Wood Johnson Foundation, the Wayne and Gladys Valley Foundation, the Ellison Medical Foundation, and Kaiser Permanente National and Regional Community Benefit Programs. The authors have declared no competing financial interests. About UCSF: UC San Francisco (UCSF) is a leading university dedicated to promoting health worldwide through advanced biomedical research, graduate-level education in the life sciences and health professions, and excellence in patient care. It includes top-ranked graduate schools of dentistry, medicine, nursing and pharmacy; a graduate division with nationally renowned programs in basic, biomedical, translational and population sciences; and a preeminent biomedical research enterprise. It also includes UCSF Health, which comprises top-ranked hospitals, UCSF Medical Center and UCSF Benioff Children’s Hospitals in San Francisco and Oakland – and other partner and affiliated hospitals and healthcare providers throughout the Bay Area. Please visit www.ucsf.edu/news and follow @ucsf. 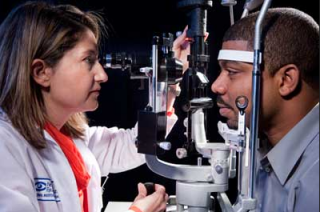 About the Kaiser Permanente Division of Research: The Kaiser Permanente Division of Research conducts, publishes and disseminates epidemiologic and health services research to improve the health and medical care of Kaiser Permanente members and society at large. It seeks to understand the determinants of illness and well-being, and to improve the quality and cost-effectiveness of health care. Currently, DOR’s 550-plus staff is working on more than 350 epidemiological and health services research projects. For more information, visit http://www.dor.kaiser.org or follow us @KPDOR. Newswise, October 24, 2016– Exercise may be associated with a small benefit for elderly people who already have memory and thinking problems, according to new research published in the October 19, 2016, online issue of Neurology®, a medical journal of the American Academy of Neurology. The research involved people with vascular cognitive impairment, which is the second most common cause of dementia after Alzheimer’s disease. In vascular cognitive impairment, problems with memory and thinking skills result from damage to large and small blood vessels in the brain. “Studies have shown that exercise can help reduce the risk of developing memory problems, but few studies have looked at whether it can help people who already have these problems get better or keep from getting worse,” said study author Teresa Liu-Ambrose, PT, PhD, of the University of British Columbia in Vancouver, Canada. The study involved 70 people with an average age of about 74 who had mild vascular cognitive impairment. Half of the participants took part in one-hour exercise classes three times a week for six months. The other half received information each month about vascular cognitive impairment and a healthy diet, but no information on physical activity. All of the participants were tested before the study started, at the end of the study and again six months later on their overall thinking skills, executive function skills such as planning and organizing and how well they could complete their daily activities. Those who exercised had a small improvement on the test of overall thinking skills compared to those who did not exercise. The scores of those who exercised improved by 1.7 points compared to those who did not exercise. “This result, while modest, was similar to that seen in previous studies testing the use of drugs for people with vascular cognitive impairment,” Liu-Ambrose said. Six months after the participants stopped the exercise program, their scores were no different than those who did not exercise. Also, there was no difference between the two groups at any point on the tests of executive function skills or daily activities. Those who exercised also improved compared to the other group in their blood pressure and on a test of how far they could walk in six minutes, which measured overall cardiovascular capacity. These findings are also important to note given that high blood pressure is a risk factor for developing vascular cognitive impairment. Liu-Ambrose said more studies are needed to determine whether exercise can improve thinking abilities in people with mild vascular cognitive impairment. Because the study sample size was based on detecting a difference on the overall thinking skills test, large samples might be needed to detect differences in specific thinking abilities, such as planning, and everyday skills, such as managing one’s finances. The study was supported by the Canadian Stroke Network and the Heart and Stroke Foundation of Canada.